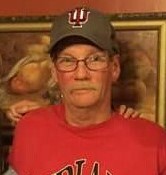 Mr. Darrell W. Wright age 61 of Salem passed away Tuesday, January 29, 2019 at Baptist Health Floyd. Mr. Wright was born January 25, 1958 in New Albany, Indiana the son of Herman and Mary Elizabeth Morrison Wright. He was a Heavy Equipment Operator for Blue River Woods. He was a member of Salem Community Church. Darrell is survived by his wife: Sue Knight Wright of Salem, a son: Dustin Wright of Calgary, Alberta, Canada, a daughter: Kelly Wright of Biloxi, Mississippi, his father: Herman Wright of Palmyra, a brother: Walter Wright of Clinton, South Carolina, and a sister: Diana Anderson of Sanibel, Florida. He was preceded in death by a son: Bradley Wright and his mother: Mary Elizabeth Wright.